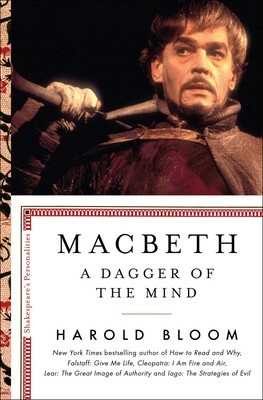 Macbeth: A Dagger of the Mind is the fifth and final volume in a sequence of brief books on “Shakespeare’s Personalities.” The first was Falstaff: Give Me Life, April 2017, and the others are Cleopatra: I Am Fire and Air, October 2017; Lear: The Great Image of Authority, April 2018; and Iago: The Strategies of Evil, May 2018. All of the books were published in the U.S.A. by Scribner. From the ambitious and mad titular character to his devilish wife Lady Macbeth to the moral and noble Banquo to the mysterious Three Witches, Macbeth is one of William Shakespeare’s more brilliantly populated plays and remains among the most widely read and performed. Macbeth is a distinguished warrior hero, who over the course of the play, transforms into a brutal, murderous villain and pays an extraordinary price for committing an evil act. A man consumed with ambition and self-doubt, Macbeth is one of Shakespeare’s most vital meditations on the dangerous corners of the human imagination. Award-winning writer and beloved professor Harold Bloom investigates Macbeth’s interiority and unthinkable actions with razor-sharp insight, agility, and compassion. He also explores his own personal relationship to the character, writing about his shifting understanding—over the course of his own lifetime—of this endlessly compelling figure, so that the book also becomes an extraordinarily moving argument for literature as a path to and a measure of our humanity.